In these last days, prophecies are coming to pass as we watch them on the news. The signs of the times point to the soon return of the Lord Jesus Christ. As Christians, we know we are supposed to pray. But in the face of global upheavals and shifts in power, how do we pray effectively? 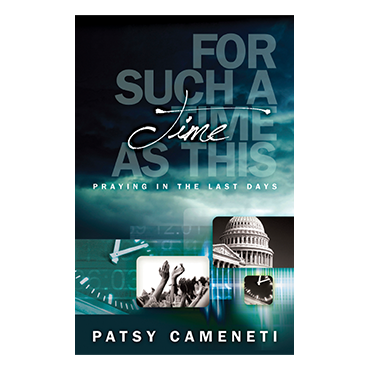 In her book For Such a Time as This, author and minister Patsy Cameneti inspires us to prepare the way for the Second Coming of the Lord through our fervent, persistent prayers. If we are aware of our position in Christ, we pray as sons and daughters of God, not as mere human beings. And as we take our place of dominion in Him, our prayers will pave the way for our Savior’s return. Led by the Holy Spirit, we can pray with a God-given passion for His plans to prevail in the earth. Surely we have been brought into the Kingdom as Queen Esther was—for such a time as this!